-The Asheville Citizen-Times, in reporting on itself, reveals that the North Carolina State Bureau of Investigation wrote a memo in June to reporter Joel Burgess asking how he obtained a copy of the body cam video of an Asheville Police Department officer. The video, shot in the summer of 2017, shows then-Officer Chris Hickman beating and choking Johnnie Rush, who was stopped for jaywalking. Police body cam video is not public record in North Carolina, and Asheville Police Chief Tammy Hooper has said the leak of such video is illegal. -Burgess and the newspaper have declined to answer the SBI’s questions, per the Citizen-Times. What happens if a person refuses to cooperate with a SBI investigation? Can the SBI compel a reporter to answer questions? The newspaper does not delve into any of these questions. -Worth noting: North Carolina does have a shield law that establishes some protection for reporters in such cases. -Hickman, who quit the force in January, will not face federal charges after FBI officials investigated whether Rush’s civil rights were violated, the Citizen-Times reported recently. Hickman has been charged in state court with the following: assault by strangulation, a felony; misdemeanor assault inflicting serious injury; and misdemeanor communicating threats. 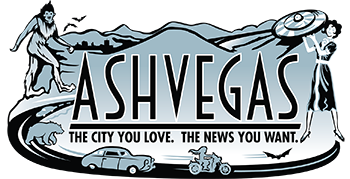 -Local observers have openly wondered whether former Asheville Police Department Capt. Stony Gonce, who was fired in in early May, or Capt. Mark Byrd, who was put on suspension last month, were the source of the leak. -Asheville police continue to investigate the drive-by shooting death of a 12-year that happened July 1 at the Lee Walker Heights public housing complex. They’re asking the public to call the Asheville Police Department at 828-252-1110 or Crime Stoppers at 828-255-5050 if they have any information regarding the case. -Asheville police say they were called to the Pisgah View Apartments public housing complex Wednesday night (July Fourth) at 10:43 p.m. to help Asheville Fire Department firefighters “who were being assaulted with pyrotechnic mortars and roman candles.” Police, who said they used pepper balls to disperse the crowd, have arrested and charged four people in connection with that incident. Meanwhile, some Pisgah View Apartments residents are reporting that police used the crowd-dispersing pepper spray on innocent bystanders.